Showcasing South African talent, while preserving binding and printing heritage. Sometimes in the middle of last year, while recuperating after another mad, overnight, want-it-tomorrow-job, we decided that it is time to take our life back. 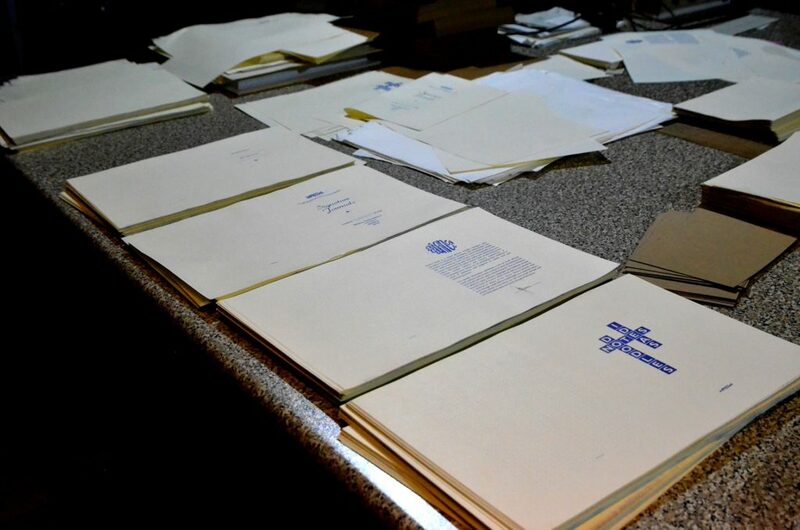 With all the letterpress, binding and laser engraving commissions, there was no time for anything fun. Except for few daily cups of coffee, that is. Sure, we are grateful for being busy, but every time our eyes fell on Columbian, Albion, Intertype or any other of the dozens of machines we managed to save, we realised that they have not been used in months. Somehow quietly the fun hobby became a job. Without noticing, we turned into slaves of our own success. Things needed to change. The challenge was seemingly simple: to create a product that everyone needs, can afford, and will want to buy. It had to be easy enough to manufacture, possibly on our otherwise obsolete, antique machinery. And allow us some time to restore and maintain equipment in our collection. It also had to be fulfilling and fun. Naturally, journals were right at the top of the list. We could print them entirely by letterpress, like no one does anymore. Bind them to lie flat, as all good books should. 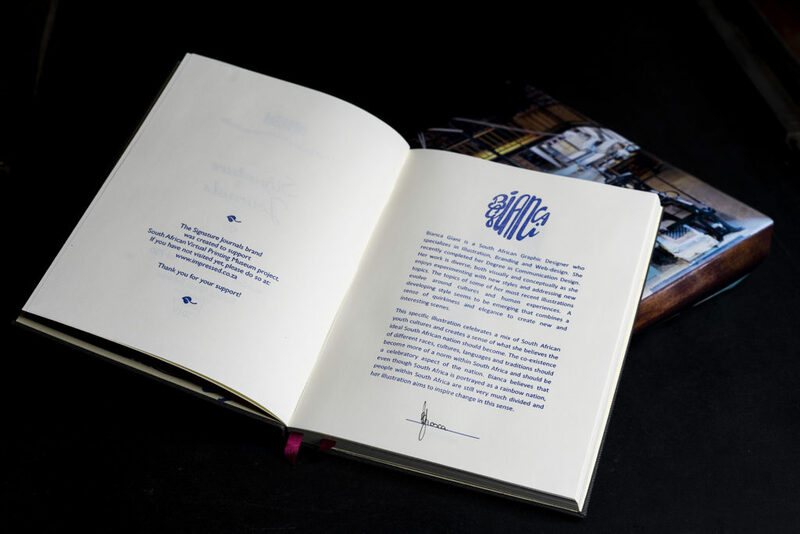 And since letterpress and binding bring tremendous satisfaction to us, we would certainly have fun. There was only one thing missing: how to make them stand head and shoulders above all the Moleskins, Paperblanks, Fieldnotes, and any other mass produced journals this world has to offer. Unbeknown, Bianca Giani walked right into the middle of our dilemma and provided opportunity for fresh ideas and solutions. 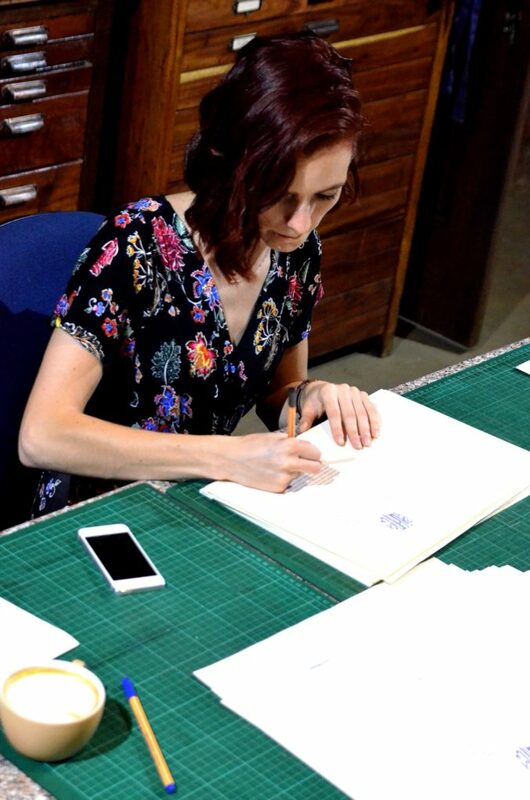 Bianca, University of Johannesburg final year communication design student, contacted us with regards to her upcoming year-end exhibition, for which she needed letterpress business cards and portfolio covers. Being a student her budget was more in line with digital production, not handcrafted letterpress. Just about the time she was to hand over her student savings, the idea emerged: how about creating a bespoke cover design for our upcoming notebooks in exchange? She agreed, and her artwork graces our January 2019 journals. 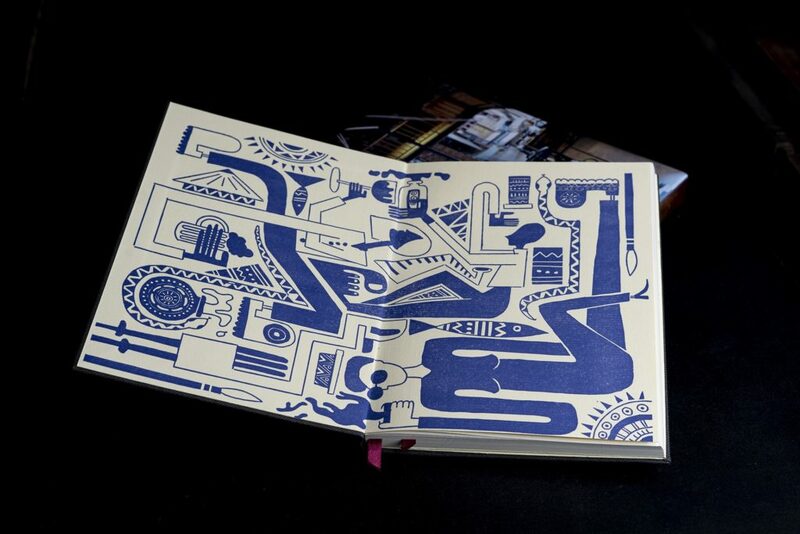 Ideas hardly happen in isolation, and soon we had all the answers we were looking for: we will produce limited edition, fully letterpress printed, hand bound journals with bespoke art created by young up and coming South African artists/designers/creators. Each month we commission a different person, and allow them the opportunity to have their artwork to be the key element of 750 journals. And to tie them to their creation for eternity: they will have to sign each of them. 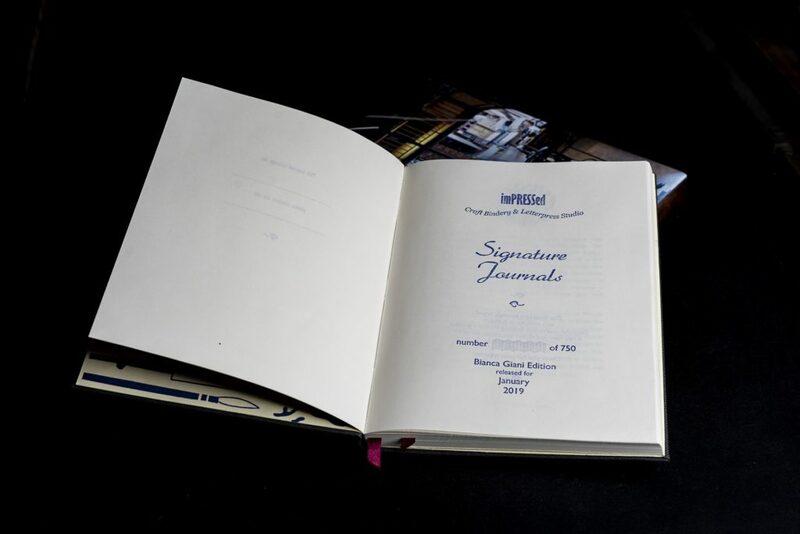 These will be imPRESSed Signature Journals, a fitting name. Since that faithful evening, with help of many great people, we managed to sign up a number of artists. As you read this, they are busy creating their vision for Signature Journals. You will find them here soon, but now, for us at least, it’s time to roll up the sleeves and make it happen. This time, with a smile.